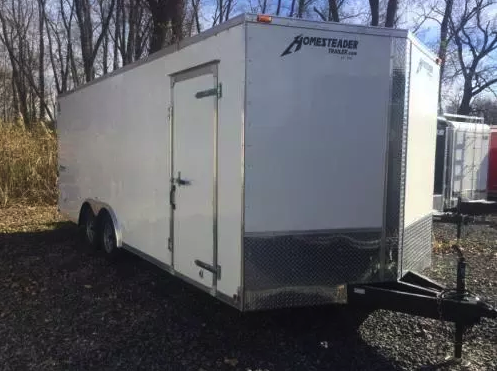 -Set up for 1 motorcycles if needed. Has D rings inside to tie down whatever you need to. Spare tire mounted inside. 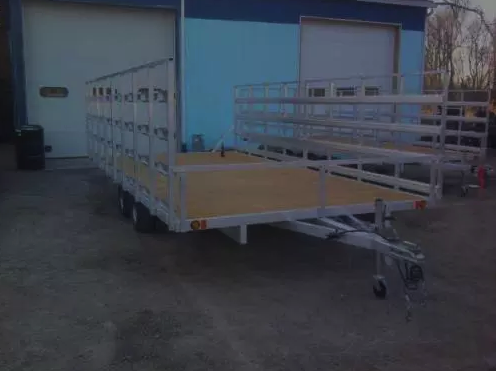 Has side door and ramp door. -Requires 2″ Ball, we sell & Rent Balls if Needed. -3,500 lbs GVRW. 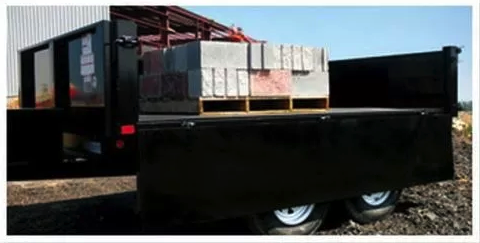 2,000 lbs Carrying Capacity. -surge brakes, No brake controller needed. -Set up for 2 motorcycles if needed. Has D rings inside to tie down whatever you need to. Spare tire mounted inside. 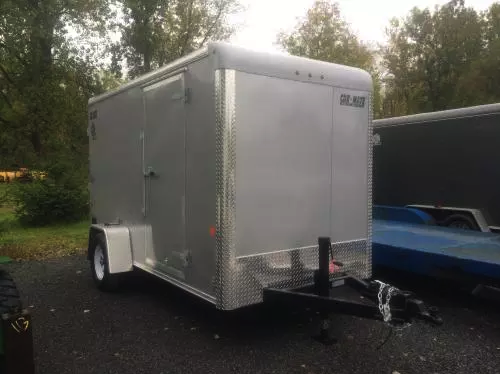 Has side door and ramp door. -Requires 2-5/16″ Ball & brake controller. – we sell & Rent Balls if Needed. 7,000lbs GVRW. 5000lbs Carrying Capacity. -Has D rings on floor to tie down car and on walls to tie down cargo. Spare tire mounted inside. 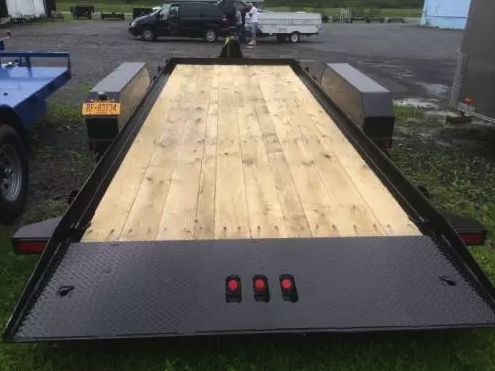 Has side door and ramp door. 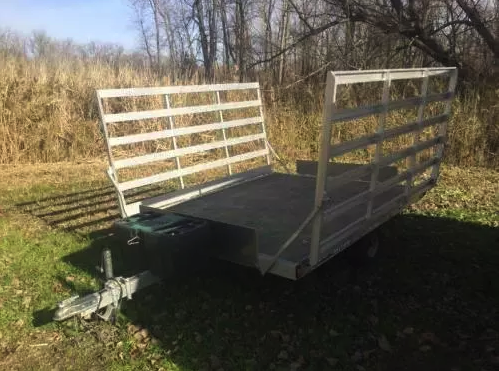 – 16’ aluminum atv trailer. 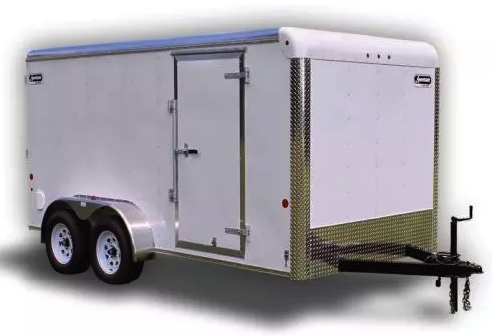 -82″ wide x 18′ Long. Fenders low, so car doors will open over top of them. 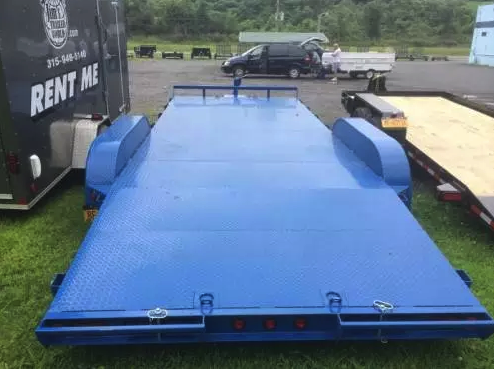 5′ Pull out ramps. 2-5/16″ Ball, we rent and sell balls if needed. 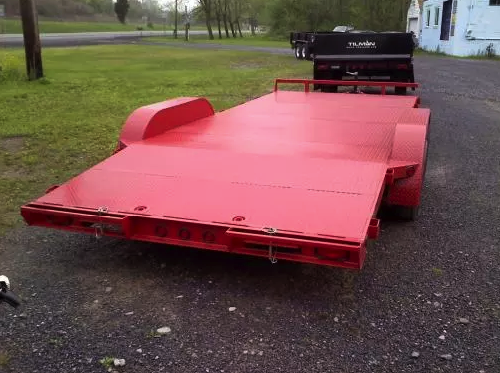 9,990lbs GVRW. Carrying Capacity 7,500lbs. Tie downs available for 10$. -82″ wide x 18′ Long. Fenders low, so car doors will open over top of them. 5′ Pull out ramps. -2-5/16″ Ball, we rent and sell balls if needed. -9,990lbs GVRW. Carrying Capacity 7,500lbs. -Tie downs – as many as needed for 10$. 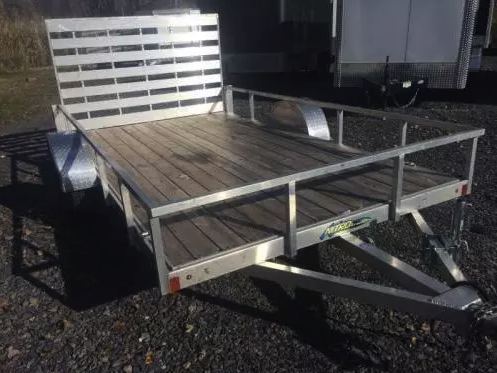 -We require a deposit of one days rental to reserve the trailer, and is non refundable within 48 hours of your reserved rental date. -We require a Security Deposit on every rental.